This song has given powerful expression to the way I feel about my lovely wife. She's quiet and stays in the background while I'm fairly well known in my circle, but she is everything to me. She has the strength & indomitable spirit that this song articulates profoundly. The lyrics are beautiful but Bette's intense feeling evokes incredible passion and emotion,Great Job ! I think that the words to this song mean a great deal to a large number of people, and is timeless. I had this song played when my husband died at the age of 42. 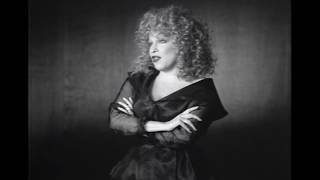 I will always be great full to Beth Midler for her voice and ability to invoke the feelings a song needs. This is so beautiful,I almost cry when I hear it.I think of my parents and how much they have inspired and loved me. this song came out when my 20 month old son was fighting liver cancer. When he graduated from high school I told him in a letter what this song meant to me about him. He is my wind! He is now 22.
i love this song and i dedicate this song for beloved sister she requested it to be sang when time comes..though im not a great singer i do promise to sing it from the heart. My brother joined our Creator an hr ago & ask that I sing this song on his service. My dear dad requested it as well, M not a great singer but I did it for my Dad & will do it for my bro. There is a strength that lifts you above all cares and troubles. My husband, Tony, was my wind beneath my wings. He loved everything about me and made me feel special. He is deceased but I love him. I love it, everytime I listen to it it reminds me of my mother and grandmother.. I love them soo much they are my life, the wind beneath my wings..
im picked this song for the mother son dance for my sons wedding coming up 11-11-2011 i absolutly love it!